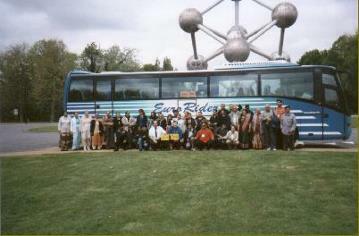 EuroRider specialise in coach based tours for groups of approximately 30 people and over. Travelling within the UK and on the Continent. As a group organiser you will appreciate a one-stop service. Our tours will be specifically designed to suit your requirements. Choose which day and time you set off, how many nights you wish to stay, hotel star quality and what time you arrive home. 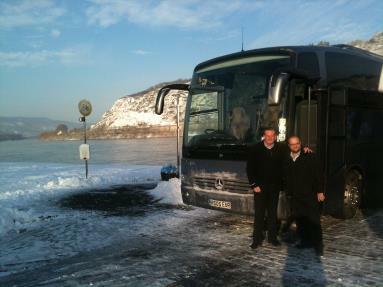 Our Tour Manager will liaise with your groups organiser and offer a free of charge quotation. 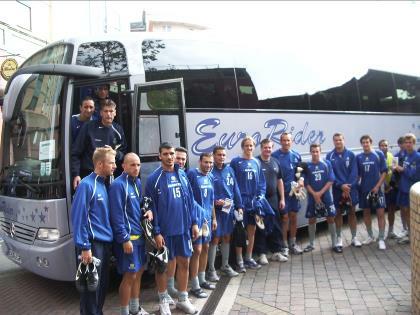 EuroRider supplies transport for the Football Federation of Australia. Tour Manager / Director Ron Shaw pictured with the Socceroos on their camp in London. 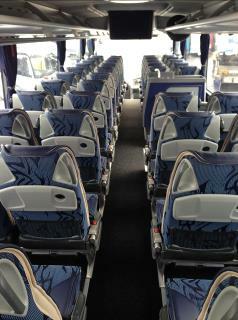 Travel in comfort on our executive Mercedes-Benz Tourismo Euro 6 coach which provides the latest in coach design. A corporate focus is reflected in the design of the new Mercedes-Benz Tourismo specification. Built to Touring Plus specification, the Tourismo provides seating for 49 in Luxline upholstery of a part leather-fabric design. 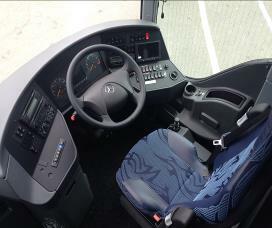 Luxury features on board the coach include dual 19” electronic fold down monitors and air-conditioning. 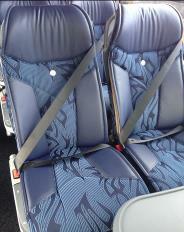 Passengers also benefit from the convenience of a centre toilet and boon kitchen. The additional specification of full three-point seatbelts, brake assist and an electronic stability program ensure maximum safety for all passengers.